I’ve been slacking a little bit with blogging in the past week or two, and it’s time for that to stop! I’ve been working way too much, but luckily my fitness plans haven’t fallen by the wayside in all the chaos. I’ve decided to get back into the 100 Pushup Challenge. I had to quit the first time around because I developed some pretty bad shoulder pain and it wasn’t going away. But now it’s been a considerable amount of time and my shoulder hasn’t given me any trouble for a while now so I think it’s safe to give it a go. I left off in the middle of week 3 and that’s exactly where I’m starting now. Yesterday I did the week 3 day 1 workout and it went well. I haven’t been completely pushup-free in between then and now. I just wasn’t doing them consistently and certainly wasn’t pushing myself every time to do more and more like this plan will do. I’m really excited to see some arm muscles coming back! In addition to that, I’ve started attempting to run again. Running has never ever ever come easily to me. In fact, it sort of just feels awful whenever I try to do it and like my body can’t handle it. I want to change that! I’ve done 3 or so Couch to 5k workouts, 2 of which were completed successfully and the last one… well, it was kind of a disaster. Maybe my legs were too tired from the long cardio workout I had done the day before, or maybe it was just a bad day to try, but I only got through 3 one minute running segments and my shins felt like they were on fire, even when I was just walking slowly. I couldn’t continue. Definitely a disappointment. But! I’m not letting that stop me. The failed workout occurred on Monday and now today on Friday, I’m hoping to head out in a few hours to the gym to try again. I’m ready for this! Challenging myself like with the pushups and running is something that really motivates me to keep sticking to my workouts and goals. I like having a plan – something I can put in my calendar – and then watching myself progress. This is especially true when it comes to things that historically I’ve never been able to do. Definitely the case with pushups and running! Happy Memorial Day to everyone in the U.S. and I hope the long weekend is put to good use! This barely qualifies as a “recipe” because it’s so super simple, but it’s something I never tried doing until about 1 month ago and now I’m totally addicted. I love brussel sprouts anyway, but when you roast them in the oven… OMG, they become the best thing ever. After 35 minutes at this temp, using my oven, the brussel sprouts get decently charred and crispy on the outside and extremely soft on the inside. You may need to make adjustments on the cook time if you like slightly less char or due to variations in ovens. It doesn’t get much more simple than that! Sometimes when I get home from work and I want an “appetizer” before we’re even thinking about getting dinner started, I’ll just throw some of these in the oven. Being brussel sprouts, they’re very healthy so I don’t even feel guilty about it! Back to Friday blog hopping! TGIF, right?? It’s been another long and hectic week over here. Last Saturday, D, my brother and I went to this show at the Boston Symphony Orchestra. It was great, especially for us video game nerds. It was fun to get out for the night and do something cultural, even though D was pretty sick that day (he caught my cold). Monday, Wednesday and today I made sure to do my pushups and this morning I got up to 34 pushups – my most ever! I’m very happy to be seeing and feeling some muscle in my arms now since I was sorely lacking in that area before. Tuesday, I did some more Zumba (what can I say, I’m hooked!) for 45 minutes during lunch. Wednesday and Thursday were off days and today I will either do Zumba or bike during my lunch break yet again. Over the weekend, my goals include getting to the gym with D both days to do elliptical/treadmill work and some weights. The great thing about participating in the pushup challenge is that I’m getting in some strength work three times per week, even if I don’t actually make it to the gym to do weights. Tomorrow when I go, the big question will be: have I improved any on the chest press machine?? My performance 2 weeks ago was pretty dismal so I’m hoping for improvement! What’s your favorite way to work on upper body strength? So, this week I’ve been researching server hosts and everything that would need to go into the process and I have a good plan of what to do next. All I have to do now is make the jump! As far as my fitness status? This week I did excellent with my eating and I’m very happy to report that because up to now, I hadn’t been doing that great. I did overindulge a little in NY last weekend with some exceptionally rich meals, but once I got back, I got very much back on track. Now, the challenge of staying on track for the weekend! Anyone out there have any tips to share for staying on track on weekends? 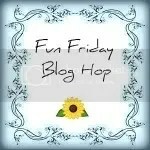 This week’s Friday Blog Hops… check them out! After doing one of the toughest workouts I’ve done all year on Tuesday, I was pretty much out of commission for the next 2 days. My muscles were SORE like you wouldn’t believe – to the point where sitting down and standing back up again was almost impossible. Naturally, I took Wednesday off from working out to try to recover. Thursday, I still wasn’t back to a good enough state to try to do anything involving weights to any degree, so instead, I went to the gym during lunch and did 50 minutes on the elliptical. It was kind of nice to just have a whole workout session focused on cardio for a day. I got to listen to music and just kind of zone out. When I woke up this morning I was able to successfully sit/stand again without my thighs feeling like they were staging a rebellion, so I thought it would be a good day to try Tuesday’s workout again. Well, once I got started, my legs decided to let me in on the fact that they were NOT READY to get back into the lunging and squatting required, so I stopped after the first 4 steps this time and decided to throw on Zumba instead. I did 45 minutes, and was totally dead by the end. I just finished right before sitting down to write this post, so I’m doing some stretching right now as I type. It’s pretty clear that the advanced nature of these workouts is going to be something I need to take pretty slowly so my muscles can catch up to what I’m asking them to do. I’m pretty confident that if I stick to these weights-centric workouts that I’ll see some good results in the muscle department. My legs are already feeling a little bit more solid. 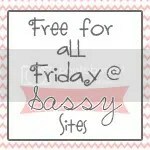 It’s here again: Friday blog hopping! Hello everyone, and welcome to your Friday! It’s been a long week, filled with working lots of hours on very mentally challenging code. I’m glad I get to give my brain a few days off to recharge itself, and we have lots of fun things planned: D’s sister is coming over tonight for her birthday and sleeping over. Then tomorrow, my family is coming over and having lunch with us. I haven’t seen them since New Year’s Eve, so it will be nice to catch up. We spent last night doing some last minute cleaning around the apartment to prepare for all our guests, and I did our food shopping as well. Despite all the craziness, I did manage to get in 2 workouts so far this week (Monday and Tuesday), and unless something ridiculous happens in the next hour, I’m going to go and do workout #3 during lunch today. This week, I got very fed up with my eating habits. It seems like no matter how much I WANT to eat well and avoid temptation, I spend every day arguing with myself about it and rarely win. So on Wednesday, I decided to do an experiment. I told D that I would message him everything I ate that day, as a way to keep myself accountable, and he would do the same with me. Doing that actually did work. For instance, after lunch that day, I immediately wanted a snack, but I though to myself that if I had one, I’d have to report to D. It stopped me from eating one! However, this was only a temporary experiment. I was looking for a way to kick start a streak of “eating right”. Did it work? Well, I did pretty good yesterday and today has only just begun, so I guess we’ll see what the weekend brings. As for weight? I’ve seen 144.8 a few times over the last week/week and a half (starting weight: 146.8), but it still fluctuates up a lot. I’ll do an official weigh in tomorrow. Let’s face it: Mondays are tough. It’s a universal fact (unless you have a work schedule that begins on a different day of the week). I find it very important to kick Mondays off to a good start every week. I don’t always succeed, but there are a few things that mentally help me get into the groove of the week. The number 1 thing that I’ve been doing for the past several weeks is making sure that I wake up at 6:30am to get in a pre-work workout. I set up all my workout gear the night before and pop in the Zumba Wii game. When I wake up, I’m usually not too happy or energized, but once I get into the workout, things start looking up. The most important thing that comes out of this is that the very first thing I’m doing on Monday morning is crossing a workout off my list. No matter what else happens that day, I’ll have that victory behind me, and I won’t be scrambling to fit in a workout somewhere else into my schedule. I’ll be honest though: I can’t do this every day of the week. Most weeks, Monday is the only day I can manage the early wakeup, though sometimes if I’m really on a roll, I can do one other day as well. I’d like to do more of these morning workouts, but my sleep schedule suffers a lot if I do it too frequently. Also, I do enjoy using the gym at the office, and that’s not something I can easily do in the mornings. This morning I followed the plan, got everything set up last night and did zumba for 45 minutes this morning. I burned over 400 calories, and then I made myself a protein shake. I tend to backslide a little on the weekends, so Monday it always feels really good to get a clean slate and do things a little bit healthier. How has your Monday started off? 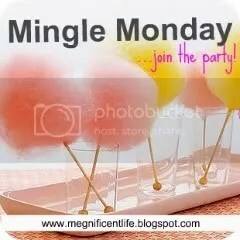 The question of the day is for Mingle Monday is: What are your Superbowl plans? My answer: I don’t have any! Not to be a Debbie Downer, but I’m not really a football fan and don’t tend to watch the superbowl or even really know who’s playing. I will probably be hanging out with D and playing video games instead! It’s been a long, tough week – so much so that this was the post I wanted to publish on Friday, but I just didn’t have the time to finish writing. 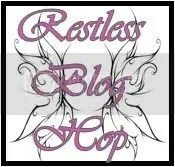 Even so, I did join up with some Friday blog hops this week and they’re listed at the end. Sorry it’s 2 days late! The reason things have been so hectic and crazy can all be traced back to one thing: work. Work has been insane, and I even had to sign on yesterday and work for 5 hours on a Saturday! As a result, I’ve only gotten in 2 workouts this week, but I’m trying to psych myself up for a third right after I post this post. I wasn’t sure what to expect, but when I saw it in the store, I knew it was something I wanted to try. I love big flavors, and I love spice, so I picked it up and threw it in the freezer for a few weeks, trying to figure out what I could do with it. 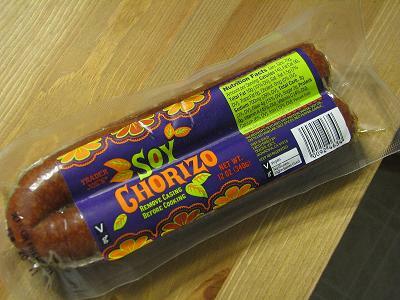 Having never even tasted “real” chorizo, I didn’t know what kind of flavors I was in for. One night a few weeks ago, while D was out (he sometimes gets a little freaked out by some of my food experiments, so I tend to break out the new and crazy ingredients when I’m alone), I decided to go for it. I opened up the package and started heating it up in a skillet, the same way you would with a ground meat. I didn’t add any oil – just a little salt and pepper – and as it started to heat up, I thought it smelled remarkably like taco meat. After a small taste, it was confirmed: I would make tacos! It was incredibly easy and quick to make these (just the kind of recipe I like). 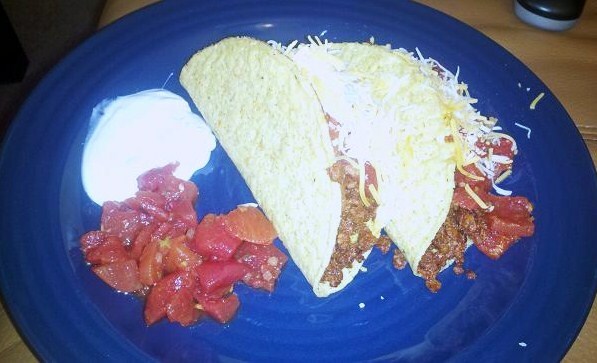 Once the soy chorizo was cooked, I spooned it into two taco shells, topped with some diced tomatoes, shredded cheese and ate it with a little bit of sour cream. Sorry for the rough phone pic! I have since gotten a better camera. The soy chorizo was very spicy and very tasty. Also, I wasn’t quite prepared for how filling it would be. I almost couldn’t finish two small tacos and the leftover chorizo that I had heated up lasted me through at least 3 or 4 additional meals. This is one dinner that I’ve added to my regular rotation in the kitchen.